This is how the obsession starts. Thanks Hugh (again). 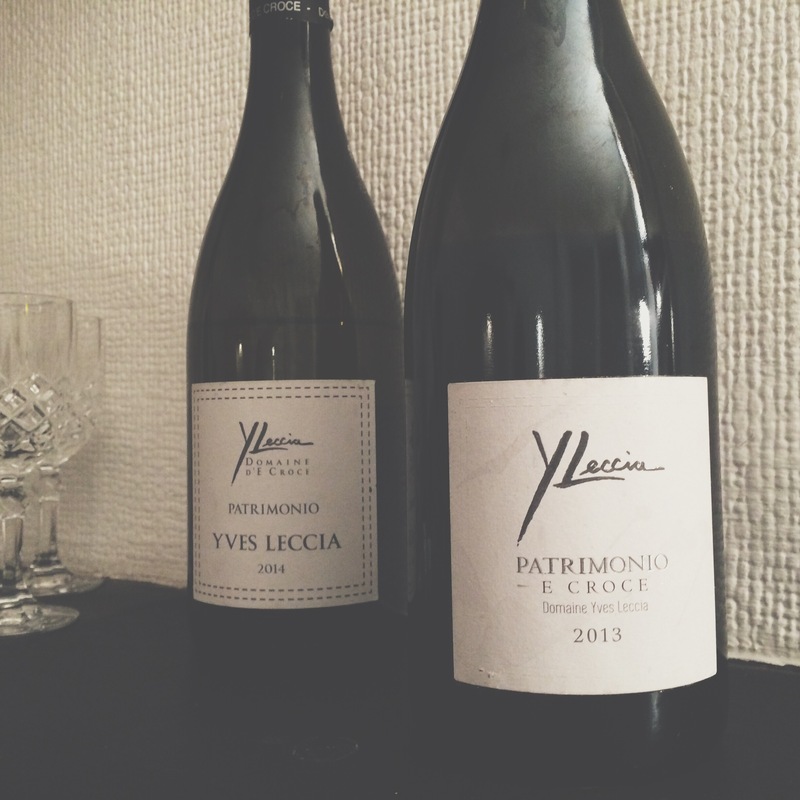 In the small entry, HJ then recommends the wines of Yves Leccia. As luck would have it, the opportunity came up to meet Yves Leccia at Vinisud in Montpellier, and he sent me some wines to taste at home. It’s easy to like a wine – in fact, to like most things – when the sun is shining in the South of France, but how will they taste on a cold (as the Scots say) dreich day in London? What struck me the most are the unique herbal flavours, much like the garrigue aromas found in the south of France. In Corsica, they call it fleur de maquis – the thickets of underbrush, rosemary and thyme. The Vermentinu is finer than the Vermentino found in Sardinia or Liguria. You will find the typical Vermintino bitterness of breakfast grapefruit and the floral aromatics of dandelion and black tea. It has depth and texture with good body, loads of spritely energetic sunny grapefruit tangy flavours with a delicious herbal mineral background. It tastes of Mediterranean sunshine. I was dreaming of a big plate of fritto misto after a long walk along the beach. This is red could easily have been a jam fest but Corsica is similar to Japan in that it comes straight out of the sea and up. This altitude cools the grapes to give it freshness. The baking heat in July and August concentrates and intensifies the flavours, not only of the grapes, but also all the fruit and vegetables from Corsica. It is very ripe, creme de mure, black cherry, raspberries and wild herb with a long finish. Patrimonio is situated in the north of the island and is the only area on the island where limestone soils can be found. Neilluccio is a native Sangiovese that was reportedly introduced by Genoese traders in the 18th century. It has developed its own identity, quite distinct from a Tuscan Sangiovese, it is darker in colour and with more body than what you would find in downtown Colli Senesi. Yes, Hugh, absolutely right (again): these are original wines that don’t travel much. There could be a few reasons for that. One of them is that Leccia only produces 5000 bottles per year. These wines are transportive. Stuck at home on a cold London night, I wandered out into the world of sun-drenched flavours, the fleur de maquis and tasted the mountains and sea. A restless wanderlust feeling that started from reading five small words in a pocket guide. I’ve seen the crescent with these excellent wines from Yves Leccia and now there is a whole other planet of flavour yet to be explored. Next PostRioja Alavesa trip #1 – Will Basque Rioja break away from Rioja?